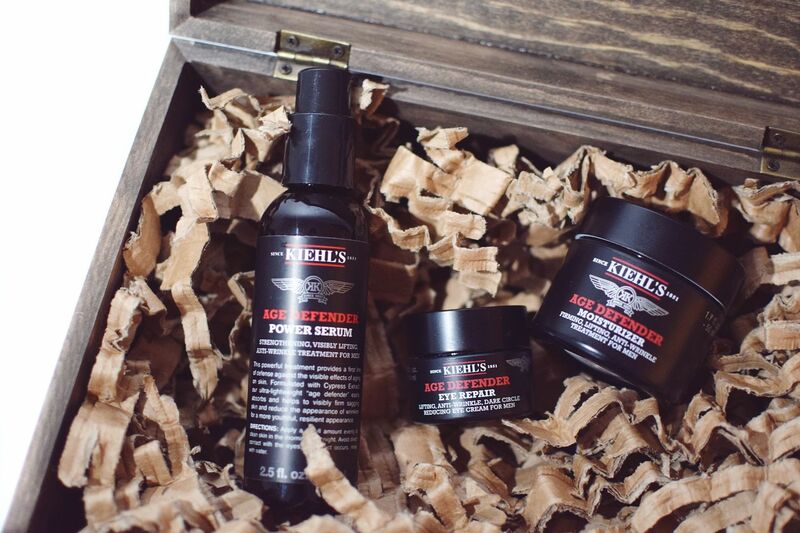 One thing you know with Kiehl’s, is that if you are going to buy any of their products you are going to buy quality. 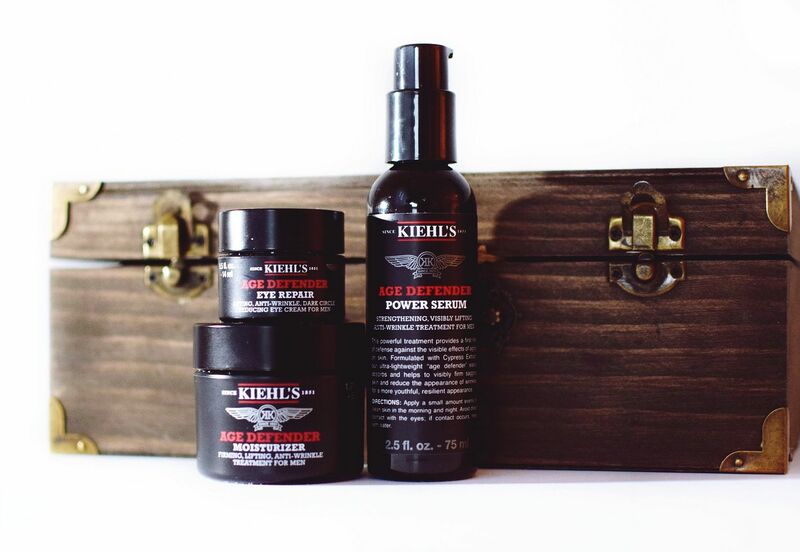 As a huge fan of Kiehl’s products, including the famous Facial Fuel and the latest shaving product Close Shavers Squadron, which in my opinion is the standout shaving product of 2016, it made perfect sense to give their new Kiehl’s Age Defender Range a try. As someone in their mid-thirties, I constantly read and hear how important it is to take care of your face and add an extra line of defence to your ageing skin, but like most men I am guilty of not doing it enough. Could having three dedicated ageing products help me address this? The Age Defender Power Serum is an extremely lightweight serum and absorbs instantly into the skin on application. It has a light fragrance to it and I found this one to even have quite a cooling effect when I applied it, it also left my skin lovely and soft. The benefits of this serum are to reduce wrinkles and any sagging skin by firming it, I definitely felt that my face even though softer felt slightly firmer. You don’t need a lot of this product, just a few pumps, so it should last quite awhile. The age defender range as you might expect got its name from being specifically designed to protect, repair and add moisture. This is extremely important around the eye area. I must admit, I had never used an eye cream before. Paula suggested I try one and seeing as I’ve left it so late, then no better than with Kiehl’s Age Defender Eye Repair. This is a lightweight eye cream and it is designed to help firm up any sagging skin around your eyes and also reduce the appearance of those crows feet we all hate. The eye repair also is designed to help reduce dark circles around your eyes, for those many sleepless nights or just long boozy nights out! As you apply a small amount of cream around your eyes you will notice how quickly your skin absorbs it. There is nothing worse than having product sit on your face all day waiting for it to dry in. If like me and you are new to eye cream, I have a tip for you. The best way to apply it is with your little finger to control the amount you apply and then dab it around the eye contour, a little goes a long way with the eyes. Kiehl’s Age defender moisturiser again is designed to reduce lines and wrinkles, alongside lifting and firming up your skin. It has been formulated for men’s coarser skin and also gently exfoliates away dead skin cells. The texture isn’t like that of other moisturisers I own, it is a cream but has more of a gel like jelly feel to it, which then in turn like the other products dissolves quickly into the skin. The moisturiser is designed to be used daily and I find myself using it most mornings after my showers. I have seen by using these products altogether a more youthful, energised look especially around the eyes- so maybe it was finally a good idea to try out an eye cream! One thing I am really surprised with is how lightweight the products are and how non greasy they are. 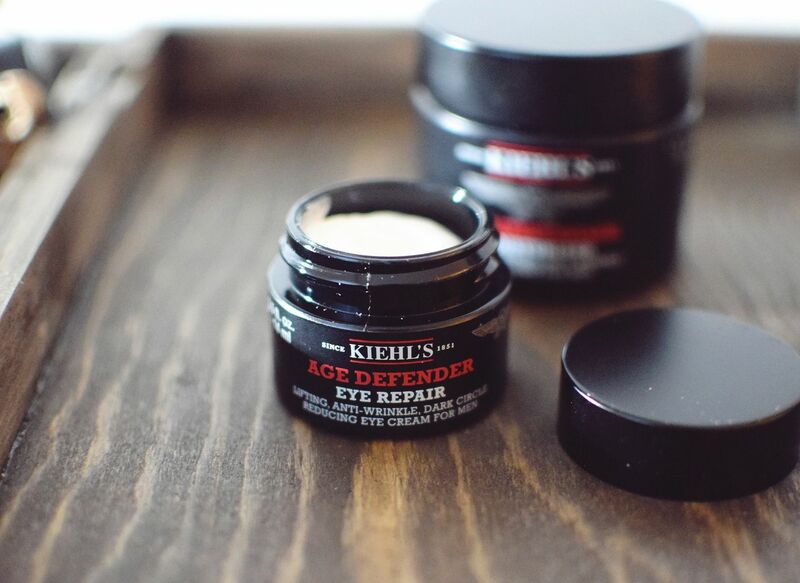 If you are looking for fair priced products to help reduce the appearance of wrinkles and dark circles that are low maintenance and work altogether or used separately I’d definitely recommend trying the Kiehl’s Age Defender Range. Plus the perfect skincare treat for Christmas! Check out Paula’s men’s gift guide video for other great grooming gifts, which I helped handpick.